The ukulele is a wonderful instrument, great not only for skilled players but beginners as well. It offers a wide range of different playing styles and genres of music and is amazingly fun to play once you get a hang of it. As it’s more compact and portable than an acoustic guitar, it’s easy to carry around. 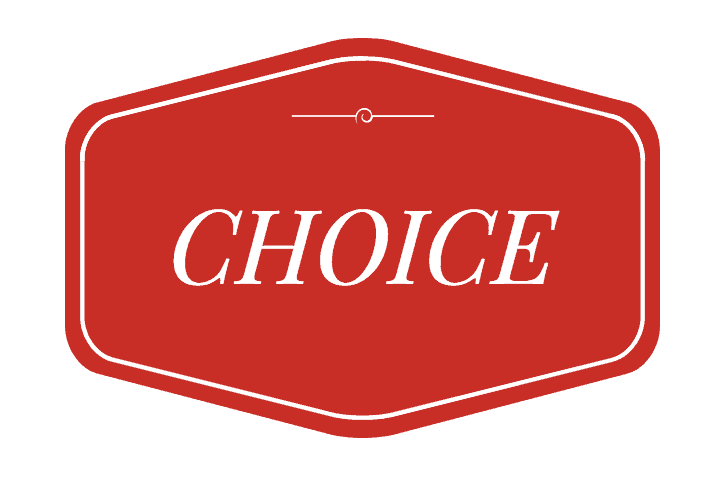 However, with so many options which one is the best choice? 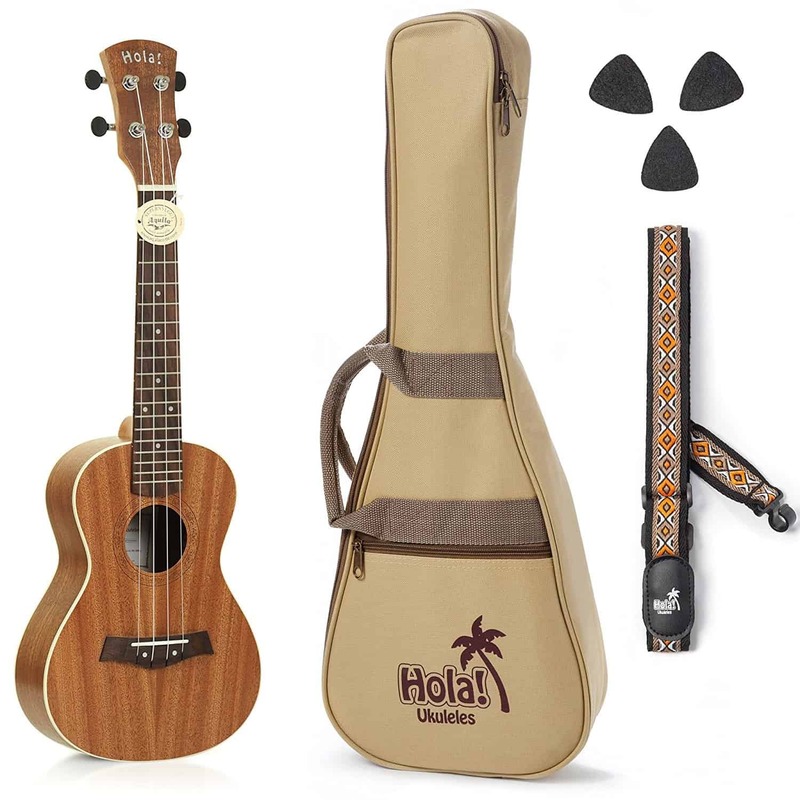 There are different types of ukuleles, varying in size, build quality, materials etc. 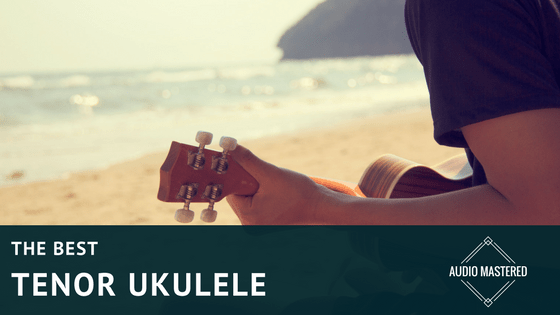 In this article, we will not only cover the basic features and specs of good ukulele options, but we will also present to you our pick of the top 5 best tenor ones. As you might already know, there are several different sizes/ types of ukulele. From a Soprano, Concert, Tenor to Bariton, the overall size gets bigger, as well as the scale length. The main advantage of a Tenor ukulele is that it sits right in the middle of the range when it comes to size. This means that it offers more space for your fingers, and sounds a bit different than the traditional sized soprano one. With a deeper sound, and more resonance, the Tenor ukulele sounds almost like a smaller acoustic guitar, but with that well-known uke vibe. See the video below for an idea of how they sound. As with almost any instrument, an important factor to consider is the material used. Like with acoustic guitars, there are several different types of tonewood, each offering a different feel and tone. These are the most common types of wood used for making ukuleles, and as you can see, your choice of tonewood should be based on the type and shape of sound you prefer. A general rule of thumb with a lot of things, especially instruments, is that you get what you pay for. Ukuleles are no exception, however, they tend to be a bit cheaper than, for example, acoustic guitars. 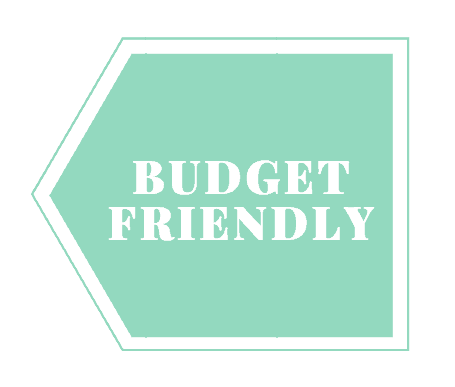 As they are smaller and require less material, there are some really budget- friendly options. If you’re an absolute beginner or don’t really know if this instrument is for you, go for a cheaper model. You won’t really be able to tell the difference between a high quality and entry level ukulele, and it will do the job just fine. On the other hand, spending up to around $200 is almost guaranteed to get you a premium instrument with amazing sound. Now that we’ve covered the basics, let’s take a look at our pick of the best tenor ukuleles you can buy. The CT120A by Caramel is the go-to ukulele for newbie musicians looking for a cheap yet well-built instrument. The light tone zebra wood not only looks nice but resonates loudly, with a punchy low end and clear highs. Featuring the standard tenor 26in body and 17in scale, and weighing only 2 pounds, it’s lightweight enough to carry it around and pretty sturdy. With a slightly higher string action, it does take a bit to get used to, but on the other hand, there is no buzzing even with the most energetic strumming. For just under $50, this ukulele is the perfect one for all the beginners out there. 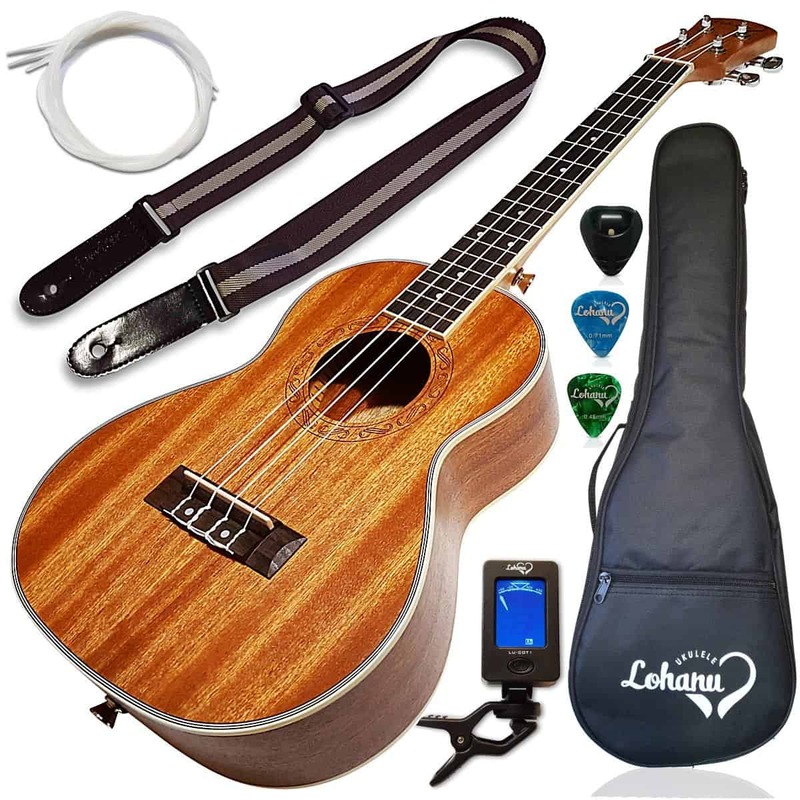 Whether you’re looking for an upgrade for your cheap uke, or simply need a pack that includes all the necessary gear for playing, this bundle has it all. The LU- T bundle is a great example of bundles or instrument packs that actually include a solid instrument besides all the accessories. 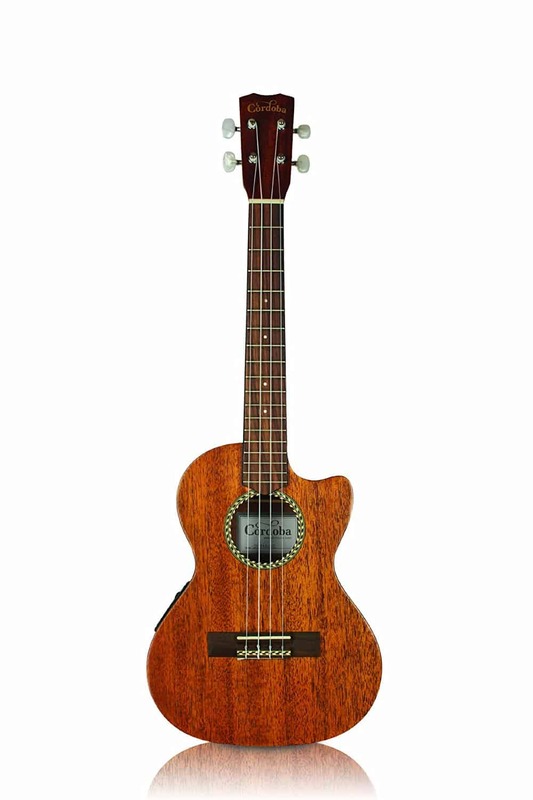 This 26in uke is made of Sapele and Mahogany, with a rosewood fingerboard. It feels great and sounds even better. 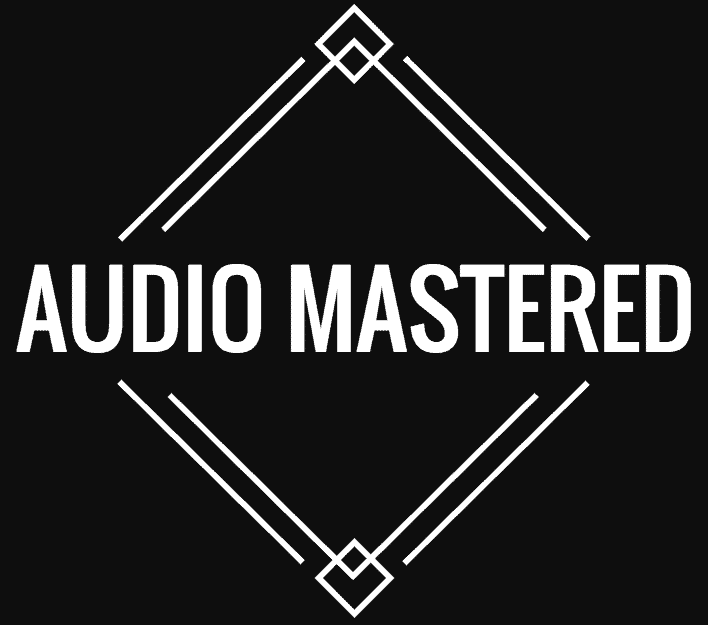 Build quality is solid and sturdy and complements the fine and warm sound it provides. With the included strap, extra strings, picks, tuner, and bag, it’s a well-rounded bundle for anyone looking for a reasonably priced ukulele. The HM- 127MG+ is an affordable, beautiful and warm sounding ukulele. As a part of Hola!-s Deluxe Series, it offers a premium experience for well under $100. The Mahogany body provides a nice and balanced sound, with hints of a darker tone. Overall build quality is surprisingly high, with a nice finish on the body. Rosewood fingerboard and bridge fit the body snugly, showing that Hola! pay attention to every single detail on their instruments. Intonation and staying in tune is what this uke is all about. No matter how hard you strum, it stays in tune every time. With this level of quality, the HM- 127MG+ is a solid choice for both beginners and intermediate musicians. Famous for their absolutely beautiful acoustic guitars, Luna Guitars has shown their high levels of craftsmanship on this ukulele as well. Both the top and sides are made of Mahogany, with a laser etched “tattoo” pattern giving it that unique Luna design. Unlike some other companies that try to compensate the slightly lower quality build with a nice finish, Luna has it all, as this uke feels sturdy and long lasting. The sound doesn’t get much better, at least in this price range. It’s loud enough to be coupled with other acoustic instruments but maintains clarity and a balanced tone. 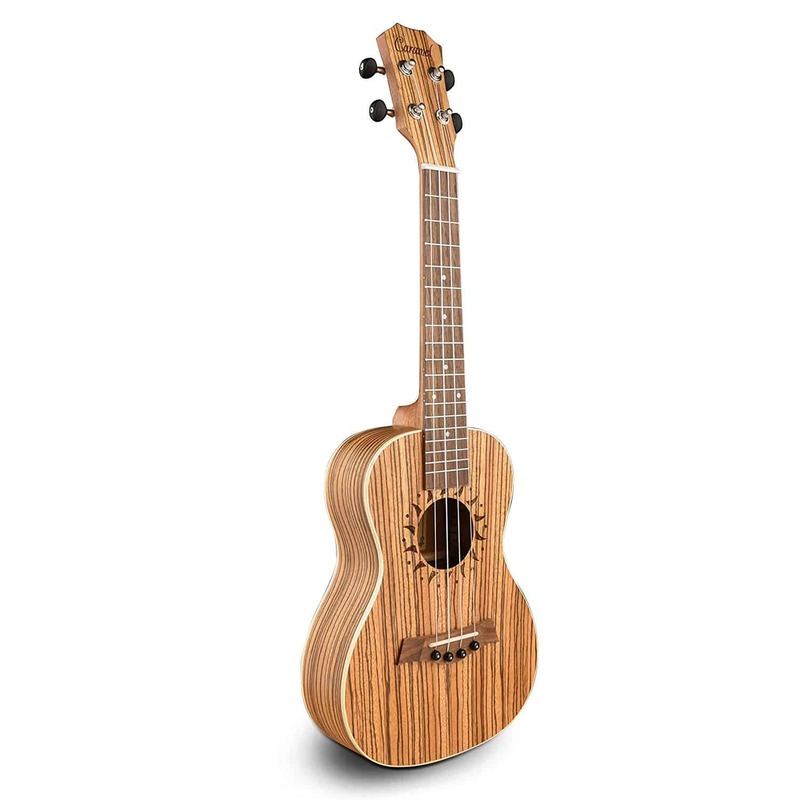 If you’re looking for a good sounding and well-designed ukulele, look no further than the Luna Tatoo Tenor uke. As the name might suggest, unlike the other models we’ve talked about, this one features a built- in 2 band EQ pickup. Having this in mind, this is the go-to option if you’re looking for a ukulele that’s most suitable for recording and live performance. The tonewood of choice is Mahogany, for both the top and sides and the fingerboard is made of rosewood. Cordoba focuses on a mixture of traditional craftsmanship and modern versatility, and the 20TM- CE is a great example of that. The design also features a neat cutaway so reaching even that 18th fret is a piece of cake. Offering a great and balanced tone unplugged, and performing even better plugged in an amp, the 20TM- CE is one of the best high- end ukes you can get, for just under $200. There you have it, the best tenor ukuleles you can get. It’s obvious that different companies have a slightly different approach when it comes to ukes, so now it’s up to you to decide which one suits your needs the best. Thank you for reading!